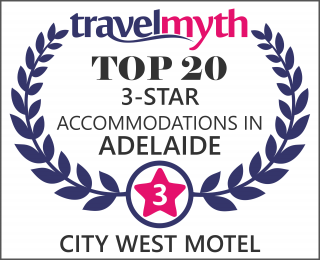 Here at City West Motel we offer Budget Accommodation near Adelaide. So if you’re looking for an affordable place to stay while visiting relatives, attending an event such as a concert at Entertainment Centre or Thebarton theatre, maybe football / cricket at Adelaide oval, seeing a medical specialist or whatever the reason fore your visit then we are the ideal location so give us a call. How Do I Book Budget Accommodation Near Adelaide? Simply click here to go to our online booking system.